At Lotze Insulation Design, we specialize in providing year-round comfort and savings by installing fiberglass and spray foam insulation. Why is Insulating Your Attic Important? Warm air in your home rises upward, so a lot of warm air is stored in your attic. Any cracks or openings can cause air to leak in and out of your home. In the winter, this can cause precious warm air to escape your home and force you to crank up your heater in order to stay comfortable, causing your electric bill to go up. In the summer, warm air can enter your home and cause your home to get too hot, making you turn up the air conditioner. By insulating your attic, you can slow down the rate at which air enters and escapes your home. This allows you to retain warm during the winter and keep out warm air during the summer so you don’t have to use as much power for your heater or air conditioner, allowing you to save money on heating and cooling costs will still staying comfortable. Proper attic insulation can also help your roof last longer and make the air in your home healthier. During the winter, warm air will rise from living spaces up into your attic. Without proper insulation and ventilation, the air from your attic can cause condensation when coming into contact with the cold surface of your roof, causing the roof decking to swell, buckle and rot from water damage and inviting mildew into your home. In addition, the warm air can cause snow on your roof to melt and then refreeze when it comes into contact with your eaves and gutters, creating an ice dam. 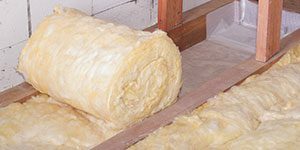 At Lotze Insulation Design, we specialize in installing fiberglass insulation and closed-cell spray foam insulation, so you can choose the material that best fits your home and needs. 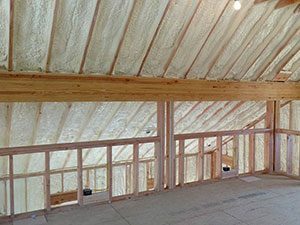 We make sure to use enough insulation to bring up your attic R-value to the optimal amount depending on many factors of your home, including roofing material, existing ventilation equipment, pitch and color of your roof, shade from surrounding trees and more. We can get the job done within a few hours and create as little disturbance as possible so we can insulate your attic without interrupting your daily activities. 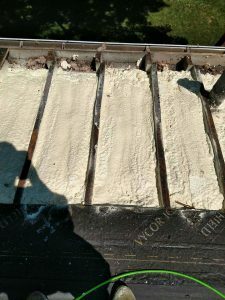 We can also install new insulation over the existing insulation in your attic as long as it’s not damaged by moisture, fire, mold and mildew or asbestos, so you don’t have to deal with the hassle of removing the old insulation (of course, we also provide insulation removal if needed). We don’t just offer attic insulation—we also perform air sealing and rodent-proofing to protect your attic even more!